As we raise our consciousness to higher levels of existence we learn things we haven’t learned before. We come to see ourselves in the bigger scheme of things, especially our role in the grand design of the universe. We are given the clarity of the things that caused us confusions in the past, we find answers and glimpses of the wonder that surrounds us all and we are all a part of. We realize new points of view, new wisdom and see different aspects of the Truth! However, as most of this pieces are subjective and hard to define, there are a lot of half truths and concepts that can actually limit our potential. These half truths create beliefs that limit the further evolution of our consciousness as humanity! Check the following list of the 10 most harmful beliefs from the so called New Age Movement and how to depict them in their true light. This notion states that focusing on the negativity will only make the matter worse. To avoid feeling uncomfortable, one should avoid any negativity. Truth: Negativity is a means of knowing that something is not right and needs correction or improvement. When you totally avoid it, you totally disregard the possibility of cure as in any illnesses or serious diseases. Seeing negativity in its real form is bracing yourself against its harmful effects. According to New Age, anger is an emotion to avoid and must be purged out of your system. Truth: An anger that destroys you and others is one that is unchanneled and counter-productive. But the anger that motivates people to act is the one that creates positive change in the world. Anger protects boundaries and a small amount it’s crucial for a healthy mental state. You must be angry for the right reason. If not, you’ll remain unconscious. 3. Everything acts as One. New age proclaims that Right and Wrong are dualistic in nature and are invalid. They say everything is okay because “we’re all one”. Truth: As conscience means “to know together”, to have a “common sense”, it urges us to be objective in knowing the difference between “right” and “wrong”. Even though darkness and light are 2 sides of the same whole, acknowledging their differences is crucial in order to understand that whole. 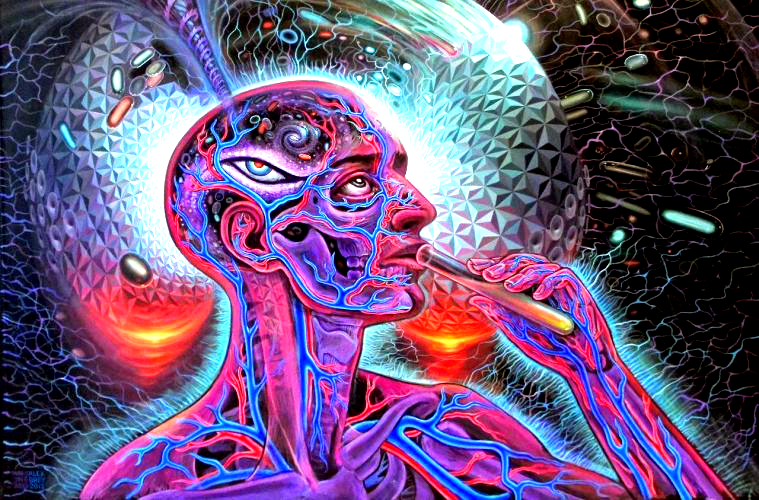 According to New Age Solipsism, knowledge of anything outside the mind is unsure, that there is no objective reality and nothing can truly be known. Truth: Perception is not a reality. It must be one’s objective to align the two. Getting away from this ideology is paving the path for human maturity and spiritual development. 5. Allow injustice as it comes. This belief teaches not to take action in changing the things that are not right in this world. The New Age Movement has been applying this ideology through meditation and yoga. They teach people to accept their current condition. Truth: Meditation is a tool for rebalancing the left and right brain hemisphere while yoga serves in helping us rebalance our bodies and our energy. These practices help us discover our true purpose and motivate us in doing it. But none of these practices is mainly for teaching inaction. Sometimes there are things that need action and can easily be fixed for the sake of our evolution. 6. A self-serving law of attraction. The New Age alters the law of attraction into something that serves only the self. Truth: The Law of Attraction is a natural law that follows a Universal system of cause and effect conditions. It is binding, immutable, and it serves to the truth rather than the self. Being co-creators, we observe harmony with Natural Law. 7. Turning the other cheek. The New Age gives a false interpretation to unconditional forgiveness. Truth: True forgiveness is forgiving others for their wrongdoings but not allowing them to do the ugly deed over and over again. It doesn’t mean you must do to them what they have done unto you. It means you stand for what is right and never tolerate their harmful actions. 8. Avoiding chaos out of fear. The New Age Movement believes that in order to be safe and at peace, one must avoid stress and chaos by any means. They allow their Free Will to be limited by the avoidance of chaos and thus, all possibility is wiped out. Truth: The exercise of true freedom will result in infinite possibility, whatever they may be, chaotic or not. The greatest ideas and inventions were created in midst of chaos and stress. Freedom means embracing chaos and stress, without fear. 9. Feeling good all the time is the common goal. Rulers distract us from reality by making us believe to feel good all the time is the purpose of life. The New Age Movement preaches happiness because this is an “ideal” way of living. Truth: There is more to life than just happiness. When you feel uncomfortable with the current condition of humanity, then you are aware and conscious. This discomfort is what motivates some members of the society to create the real change that everybody desires. 10. No need for defending the truth. New Age believes in not confronting anyone because there isn’t a need for defending the truth. Truth: The Truth operates through us. Those who live not in truth will face their own consequences. We can create a different reality by learning the truth, then developing and defending it in every way possible.